Passion X Looking Resplendent on a Wednesday evening. David is not only Commodore of Greenwich Flying Squadron but also a tough competitor. 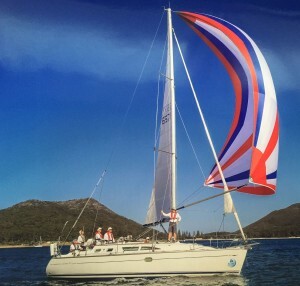 We raced against David & Elaine’s Jeanneau Sun Odyssey 37 “Passion” from when John and I first have owned G-whizz, both in GFS Twilights, where we are both in Blue division and for a season in the RANSA Winter Wednesday series. 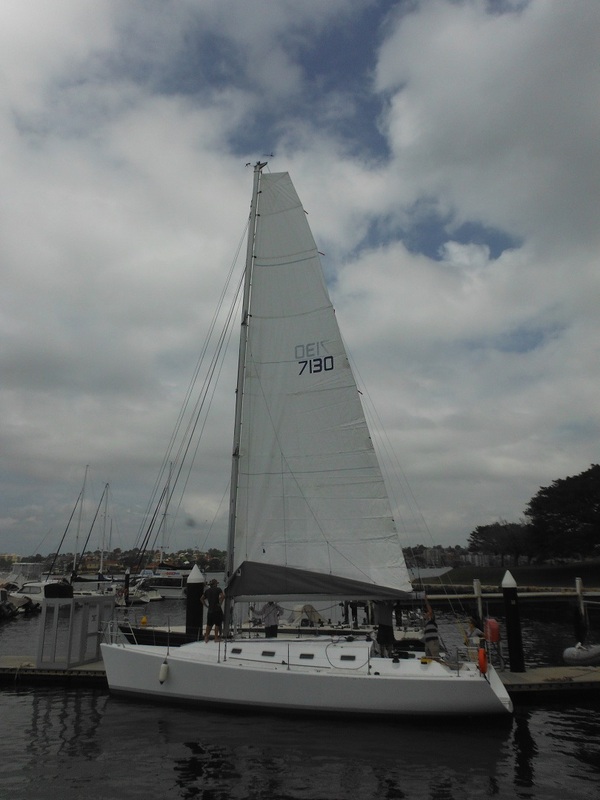 Passion was the boat that we liked to benchmark ourselves against, beating Passion on the water brought considerable pleasure to us. Somehow we feel sure that that feeling was reciprocated. Passion X at Woolwich Marina Mainsail hoisted for the first time 24/02/2017. that we have beaten him have been cause for much celebration, we were generally satisfied if we still had them in sight as they cross the finish line. Good luck David with Passion X playing with the really big boys in Black division. 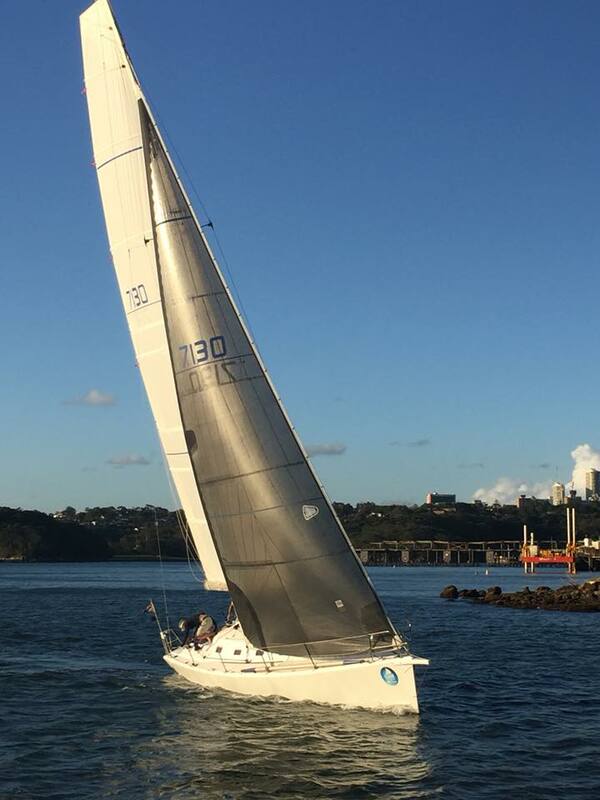 I still see quite a bit of David on the water as we are mooring neighbors in the Lane Cove River, I do miss racing against him though. A visit to Passion’s excellent blog at passion.org.au. is highly recommended. Especially to read the blogging David did during the Build process. Update: All Dr. Hook wanted was to be on the cover of the Rolling Stone, now if you are an amateur boat builder actually making the cove of Australian Amateur Boat Builder must be just as satisfying. 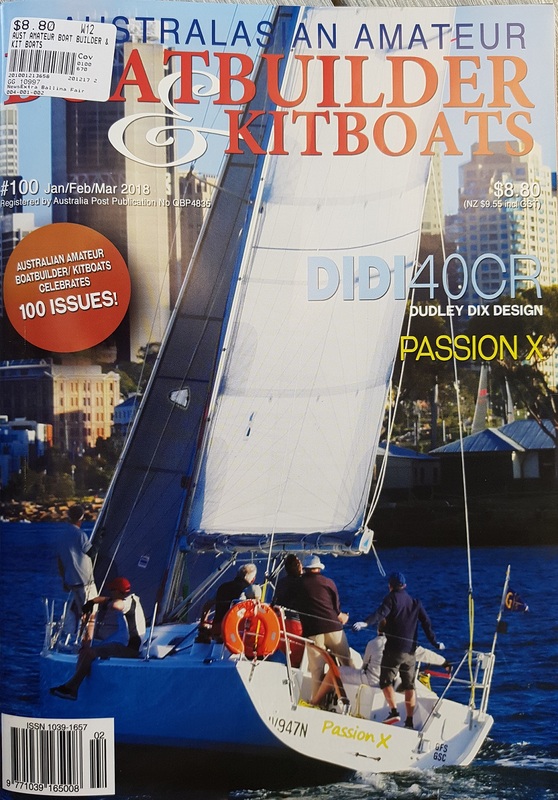 Well done David, Passion X in all her glory right there on the 100th edition (First Quarter 2018) of Australian Amateur Boat Builder. I wonder if he’ll write a song about it? The earlier Passion flying one of here colourful bits.